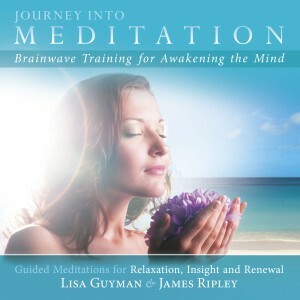 New Guided Meditation CD by Lisa Guyman and James Ripley–Now Available at iTunes! and Amazon! Journey into Meditation: Guided Meditations for Relaxation, Relaxation and Renewal CD/Mp3s- New – Just Released in 2012 ~ Brainwave Training for Awakening the Mind CD/mp3s by Lisa Guyman and James Ripley. $18.95 CD or $9.99 Download. Lisa Guyman’s and James Ripley’s soothing voices guide you into meditation while Christopher Lloyd Clarke’s gentle meditation music and binaural beats creates the perfect backdrop – taking you deeply into meditation. Available at iTunes, Amazon.com and CD Baby! Healing Waters: A Guided Meditation for Relaxation and Renewal with James Ripley. Go inward on this healing tropical journey. Relax in the healing waters while letting go what longer serve you. Take time to just be, to rest and rejuvenate deeply. Running time: 30:32. Journey into Meditation: Guided Meditations for Healing, Insight and Manifestation CD/mp3s by Lisa Guyman. In Journey into Meditation, Lisa Guyman’s soothing voice guides you into meditation while Rob Wallace’s gentle meditation music creates the perfect backdrop – taking you deeply into meditation. 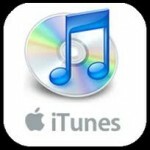 Available at: itunes, Amazon.com, CD Baby ( great for international customers). Three different journeys, each lasting a very manageable 20 minutes. Mystic Waterfall Meditation: Chakra Healing. Cleanse your chakras in this healing waterfall while consciously letting go of patterns that no longer serve you. By doing chakra healing your will bring more harmony and balance into your life. Cleanse your mind and body of stress and relax deeply. Running time: 20:23. Inner Wisdom Meditation: for Receiving Insight. Connect with your intuitive self. Receive valuable guidance on many key aspects of your life, from your life purpose to work & love. Running time: 18:22. Life Visualization Meditation: Manifesting. In this guided meditation, you will envision yourself manifesting your goals and dreams. When we create a virtual reality of what we desire complete with emotions, pictures and energy we attract it faster. With this meditation we activate the law of attraction as discussed in The Secret. Running time: 20:27. Release stress and anxiety and rejuvenate with these awakened mind guided imagery and visualization meditations. It’s not important to have any experience in meditation to benefit from these meditations. Begin to meditate in the comfort of your home! Take a Journey into Meditation Today ……….